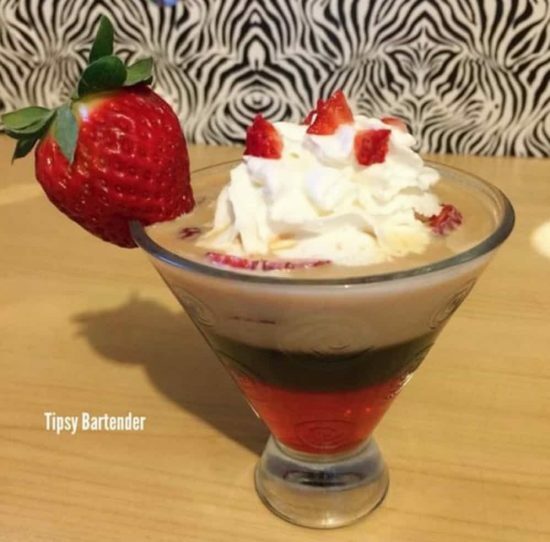 How delicious do these Strawberry Baileys Kahlua Shots look? They’re a party in your mouth and easy to make! They taste incredible and are guaranteed to wow your family and friends. We’ve included a video from our friends at Tipsy Bartender to step you through the process. Be warned though, there is some colorful language included! 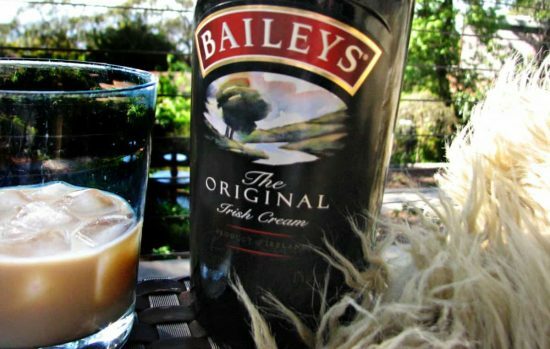 You might also like to check out the Homemade Baileys Recipe too. It’s great for gift giving. You can find links to the recipes further down our page. Start by pouring Grenadine in the base of your cocktail glass. Using the back of a spoon pour Kahlua gently onto the Grenadine to form a second layer. Again, using your spoon finish your cocktail by pouring a layer of Bailey’s. Finish off with a generous topping of whipped cream and decorate with crushed strawberries. Enjoy!